Toy Story That Time Forgot is Toy Story’s take on the annual Christmas special. The end result, much like the Halloween special Toy Story of Terror, is a fun little adventure, but doesn’t capture the same heights as the Toy Story feature films. That is to be expected, I suppose. At only a half-hour, it doesn’t exactly have the time to develop the same kind of story as its theatrical predecessors. The story takes place a few days after Christmas morning, and Bonnie is out on a play date with her friend Mason. Bonnie brings some of her favorite toys, Woody (Tom Hanks), Buzz Lightyear (Tim Allen), Trixie (Kristen Schaal), and Rex (Wallace Shawn). But upon arrival, Bonnie and Mason get distracted by Mason’s new video game console, leaving the toys to explore the house on their own. The Toy Story gang soon meets up with the Battlesaurs – an army of colorful dinosaur warriors modeled after 80s action figures – who have been opened but not yet played with. 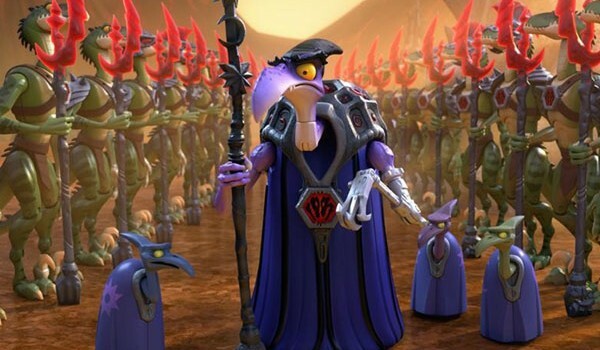 The Battlesaurs fall under the Toy Story tradition of not knowing that they’re toys, which works for the story at hand, though the concept is starting to feel a bit overused by this point. Trixie is the star of this Toy Story short, being embraced into the Battlesaurs tribe as one of their own. At first she loves the idea (whenever Bonnie plays with her, Trixie is depicted as anything but a dinosaur, so she welcomes the change), but after she finds out that the Battlesaurs spend their time destroying other toys in gladiatorial arenas, she sets out to teach the Battlesaurs of their true identities and the importance of playtime. It’s a fun story, and it has a good sense of humor (the 80s action figure parodies are spot on), but don’t expect the same heart-swelling moments as Pixar’s feature films. It does what it can with its running time, but you kind of wish Buzz, Woody or Jessie had the starring role again. Being more fleshed-out characters, the primary Toy Story cast may have better carried the short, since Trixie isn’t exactly given the time for character development anyway. Some might argue that it’s a Christmas special, so it doesn’t need the same oomph of other Pixar works. That might be true, but the short also kind of forgets that it’s a Christmas special, with any mention of holiday festivities only showing up in the opening and closing moments. So the Christmas holiday seems kind of like an excuse to introduce the Battlesaurs more than anything. 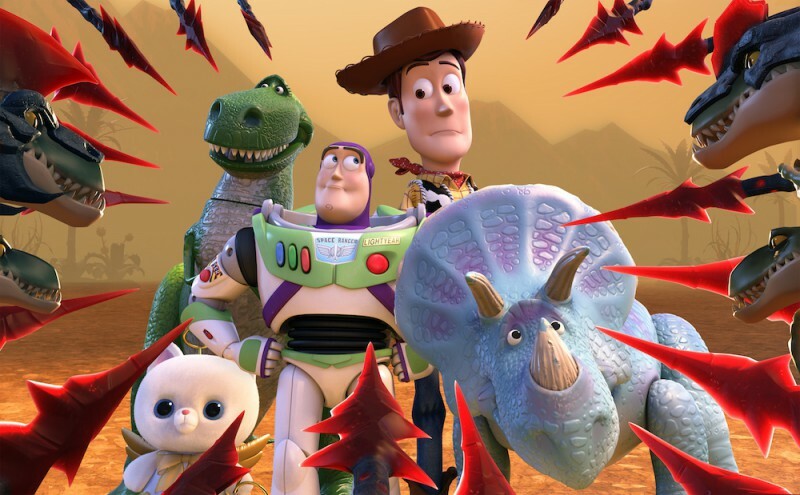 But while Christmas may get lost in all of the Battlesaur-ness, Toy Story That Time Forgot is still an entertaining short that adds another fun chapter to the Toy Story series. 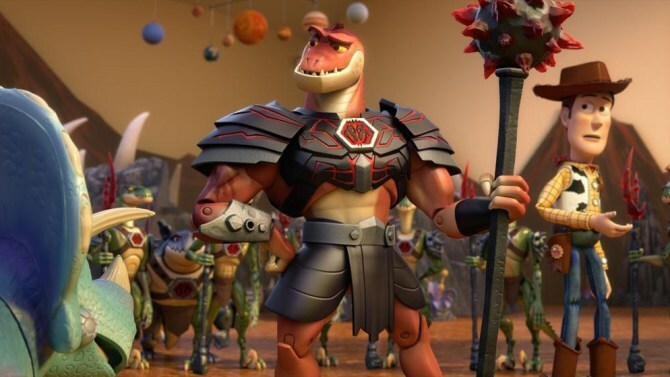 The animation is lovely, and the character designs for the Battlesaurs are among the most creative Pixar has made. It may not exactly be the Christmas tradition it wants to be, but it is a short worth revisiting from time to time. And don’t you forget that.